This is a small snippet of a bit of soap making in my world. This soap was made for Amy Warden's Great Cakes Soapworks Soap Challenge. 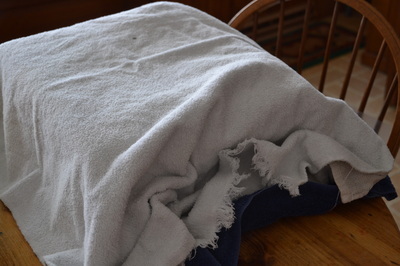 I haven't named it yet, but it will be something Earthy as it smells kind of earthy and musky AND it will be ready just in time for Earth Day 2014. As always, I start with fresh goat milk. I freeze it into ice cubes, weigh the correct amount (usually about 30% of the total batch volume) and add the lye (slowly). On this day, since it was cold out, with snow on the ground, I mix the lye and milk outside. 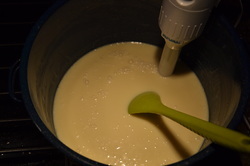 It is always a game to balance the temps just right to keep the mixture cool enough so the milk doesn't burn, while allowing it to warm just enough to dissolve the lye. 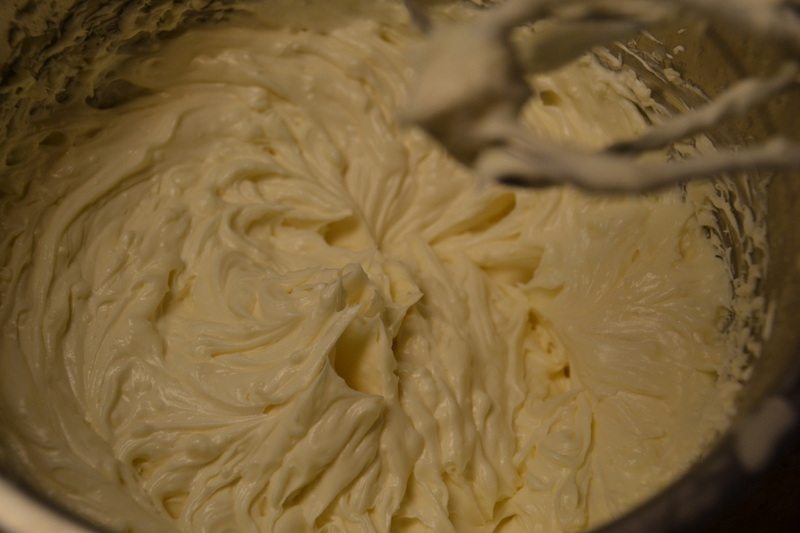 The goal is to keep the mixture nice and light and creamy. 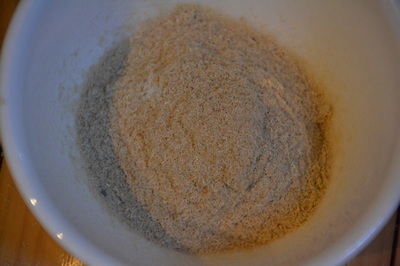 Then the milk/lye mixture is added to the pre-measured oil mixture. This must then be mixed until a light trace forms. Since this batch is large and the recipe takes a while to trace, I've pulled out the big guns and mix it double duty. 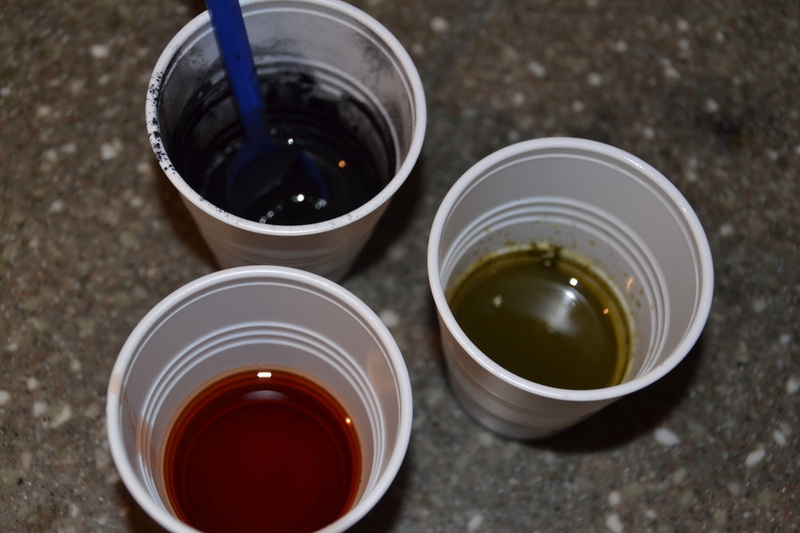 Now, to get the additives ready: mixing the colors with a little extra oil (color choices are charcoal, kelp powder, and an infused oil with alkanet root), measuring the shredded loofah, and mixing and measuring the essential oils. Before the soap batter was divided, I added the essential oils. For this I chose, vetiver, ylang ylang III and lime. I thought I had more lime EO, but alas did not, so I improvised and upped the quantities of the other 2 oils. Also, in the instructions for the challenge, the obvious was mentioned: Only use oils that you are used to working with and know how they will perform. 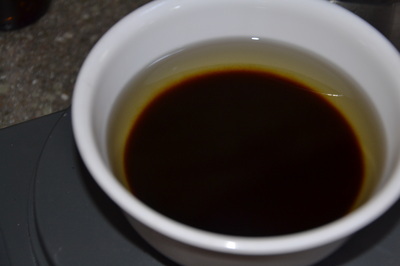 Well I had never worked with vetiver yet and you can see from the photo how one oil is much darker and more dense than the others. Yep, that is the vetiver. A little worried here that my soap will be brown, but onward I go. 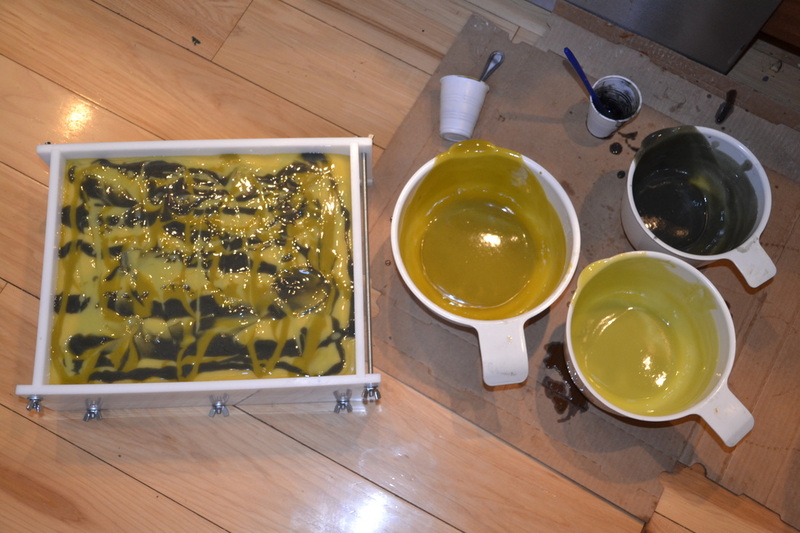 I poured most of the scented soap batter into my mold and saved out just a bit for each color. With the colors all mixed, I began dropping and plopping a bit here and there at different heights to create differing depth penetration. Here I discover another mini mistake that resulted in yet another ever present learning experience. I had also never used an infused oil. I had not waited long enough for the alkanet to infuse and I didn't use enough of what I did have infused. So that color was basically non-existent. It was supposed to be purple. You'll see in the finished picture that there is NO purple. Not even a smidge! 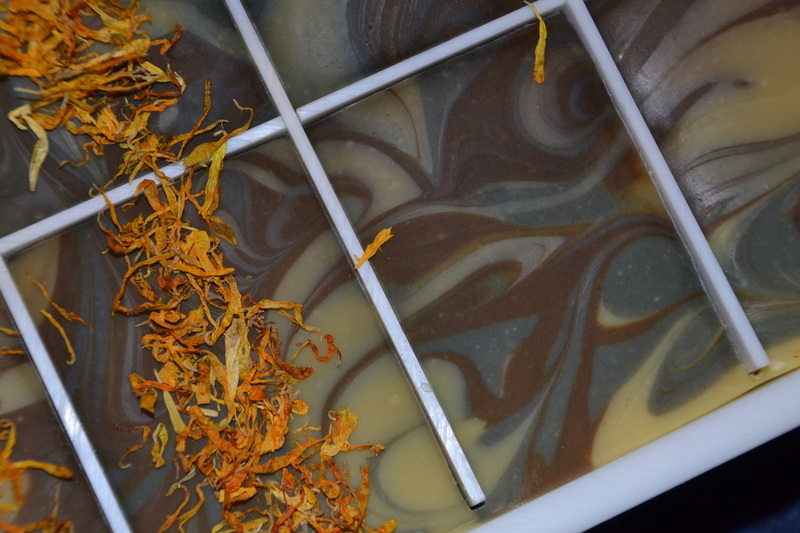 Next, a little swirly action with a chopstick, a little bit of dried calendula on top for fun, and off to "bed" it goes. Finally, the most exciting part: the cutting! Every piece is like opening a present. You just don't know what you will find until you see it. I'm happy with how they came out. This is one of my favorite recipes (that I have used before) and I LOVE having the shredded loofah in a soap; so I know that the soap will be great! I love the scent, but I know some will not. It is a a bit smokey, musky, and earthy all in one. 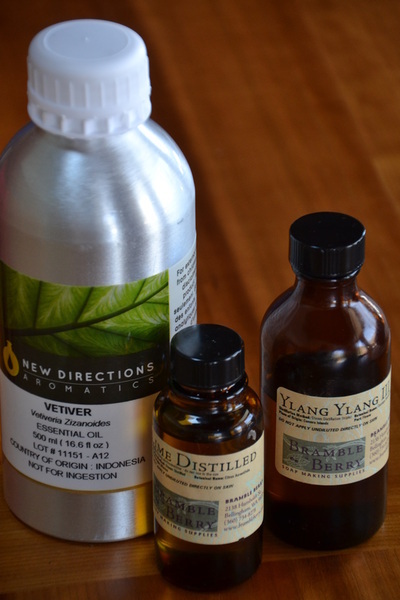 Next time I will use a bit more lime EO and a bit less vetiver EO. And even though the "purple" alkanet disappeared, that didn't really matter. What do you think? Do you have any good ideas for a name? Oh what to do? Fragrance oils or not? I am in a quandary. 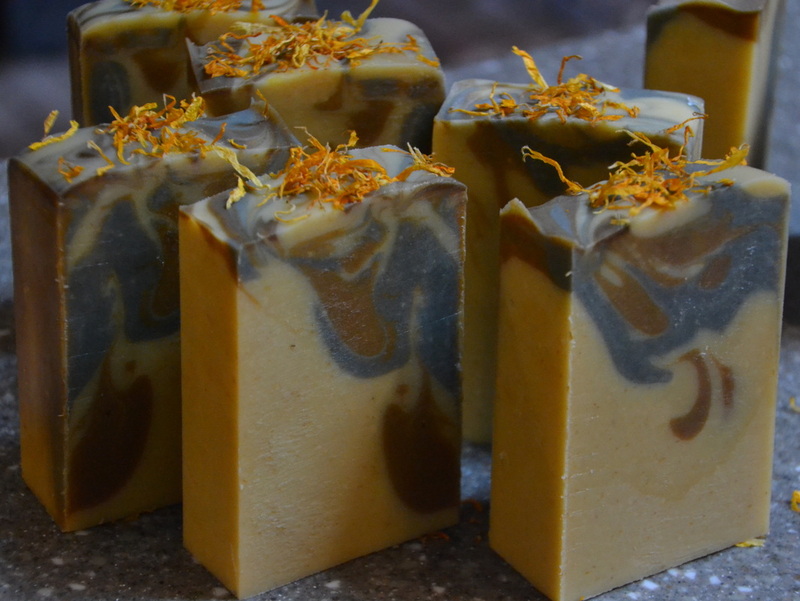 Whether you have tried our soaps or not, I would really like your opinion about this topic. Warning: this blog is long. I like to be wordy. If you want to skim, at least please read the paragraphs with *s.
As you may know, we are still relatively new to the business. 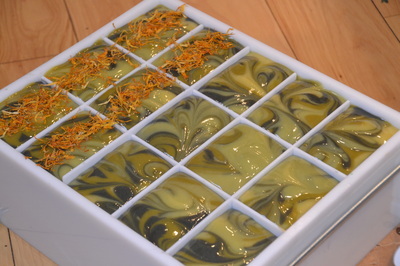 We are growing quickly as a result of our wonderful customers who are loving our soaps. Yah! 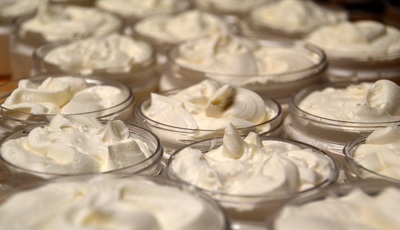 I'm convinced that it's the fresh, raw goat's milk that is truly the key to our soaps' success. We are very proud of our product and what it stands for. 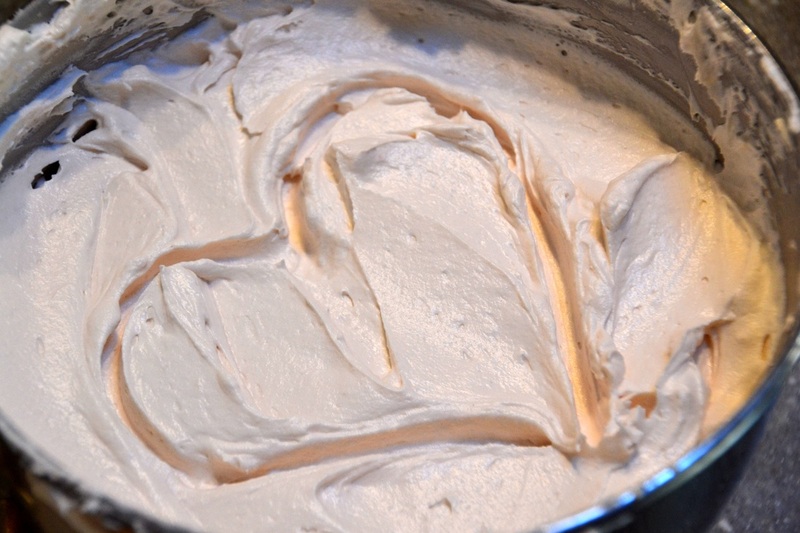 However, as we grow in popularity, more and more people are enjoying our soaps and more and more people are offering their requests for ingredients, scents, and products--which I LOVE by the way, and have asked for. Originally, our business vision was to keep things the way we like them: all natural and as organic as possible. Of course there is such a personal preference when it comes to things like scents, textures, colors, and etc.... We wouldn't want to make ONLY what we like, as that would be ridiculous! For example, I love a highly exfoliating bar of soap and I love peppermint essential oil. My husband, Scott really dislikes both of those. He likes the sweeter scents and smoother textures. Would I only want to make one over the other? Of course not; we make both! 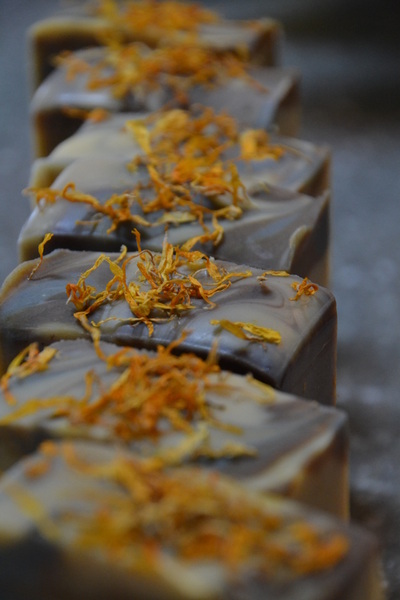 **The soaps with the fragrance oils are quickly becoming our best sellers! 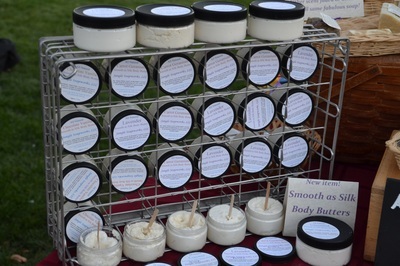 We only have 3 soaps currently (out of 20+) that use fragrance oils. Everyone who picks them up LOVES them. We have been getting more and more requests for different fragrance oil scents. This is taking us in a direction away from our original "all natural" goal. Part of me wants to jump on the band wagon and get many more fragrances that will sell like crazy, but part of me is bothered by this. 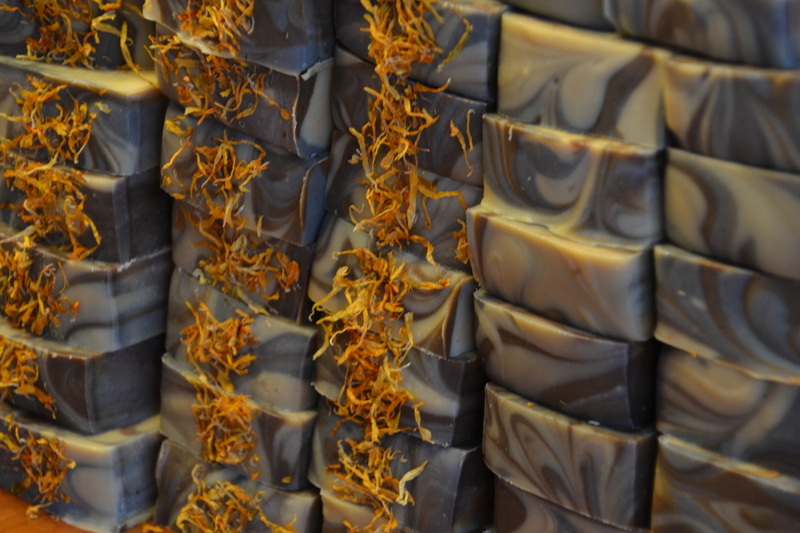 I personally don't like to use the fragrance oil soaps because some of them make my skin itch. 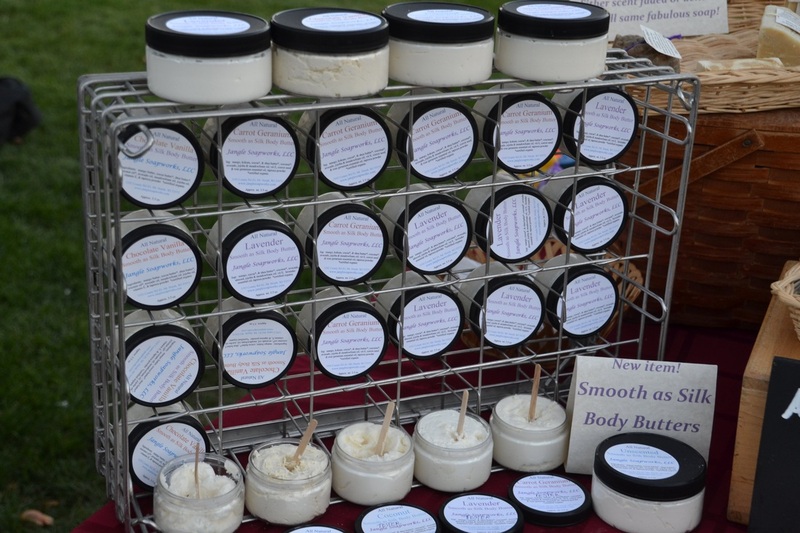 We NEVER put fragrance oils in deodorants or body butters (products intended to soak into the skin) but research seems to indicate that although soap is a wash off product, still some components are absorbed through the skin. Maybe my skin is more sensitive than others, but it still bothers me to think that you may use our soap, have some sort of reaction to the fragrance oils like me, and think it's the soap as a whole and not realize it's the fragrance oil. 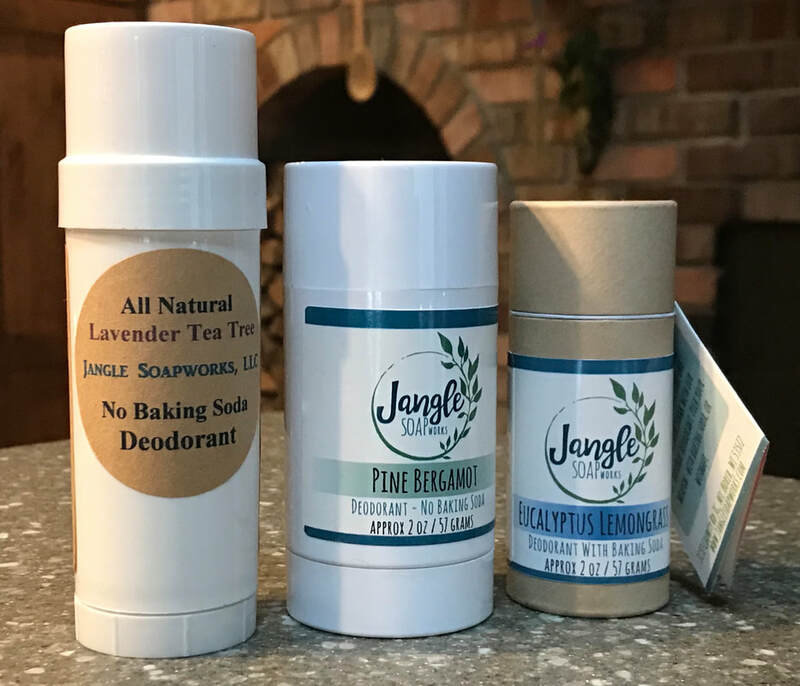 Of course, many people have different allergies/reactions/aversions to all kinds of things including essential oils, liquid and solid oils, and even the gluten in the oatmeal used in some soaps. But if that is the case, you know who you are and as long as everything is clearly labeled, you can make appropriate choices. Fragrance oils are a propriety market and "secret" recipes are protected. So you really don't know what goes into them--thus what we're putting on our skin when we use them. -Would you like us to continue to offer choices: fragrance AND essential oils that are clearly marked? -Does it offend you that we call ourselves "natural", yet offer a very few--and clearly marked--soaps with a tiny percentage of non-natural ingredients? -Should we grow our fragrance oil selections to include more of the very wonderful and yummy scents that are made and that so many of you love? Your opinions are VERY important to us. I am laying it out here in a very honest way, wondering what to do, and we would love your honest opinions.